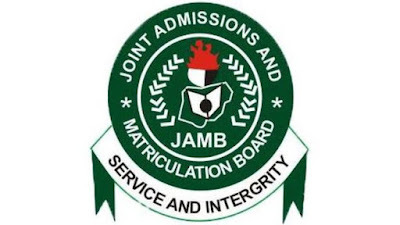 I had earlier warned applicants for UTME and DE to dedicate the earlier time of seeking admission to studying JAMB Brochure in order to avoid errors. Sometimes, I’ll be quick to tell admission seekers that direct entry applicants need the brochure more than the UTME applicants. Why? There are more conditions attached to their entries than the latter. This takes us to DE applicants who may want to proceed for admission using Lower Credit or Merit. My recent post has given enough details about Direct Entry and those who are qualified for it. But for the sake of reference here, DE is meant for holders of National Diploma (ND), National Certificate of Education (NCE), IJMB, JUPEB, NABTEB and Cambridge A’levels. Applicants for DE may also include the Bsc and HND holders who want o proceed to universities for their previous course or related ones. In short, this guide only concerns the holders of the qualifications listed above. The concern of this post is to guide applicants on various universities offering accounting that accept Lower Credit, Lower grade, merit etc for their admissions. In case the university you're looking for is not here, it means their conditions of admission, according to the brochure, is not accepting lower credit or grade. The post will add schools that accept NCE, ICA, IJMB, ACA etc for Accounting in universities and more. ADSU, UNIZIK, ABSU, MADONNA and COOU accept ND/NCE in the relevant fields. UNIZIK, ABSU and COOU accept ND/HND lower credit pass. BSU accepts ND/NCE lower credit/merit plus five (5) O Level subjects requirements to include Economics at one sitting. EKSU insists on A’level passes in Economics but does not accept IJMB. NASARAWA accepts ND/HND lower credit in relevant programmes; NASARAWA also accepts IJMB in relevant subjects not below ten (10) points; NCE credit/merit in Business Education. PLASU accepts HND lower credit in relevant programmes with O’Level requirements. PLASU also accepts ND lower credit in relevant programmes with O’Level requirements. 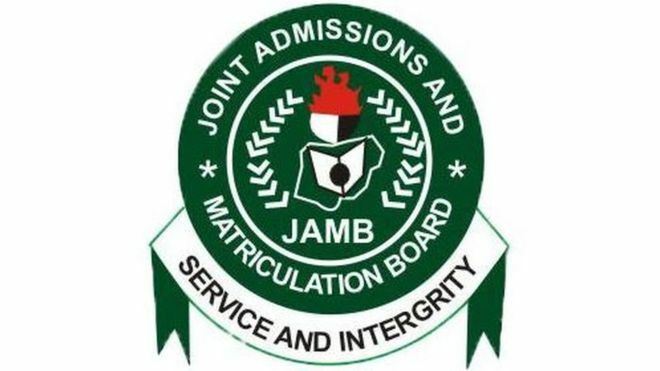 PLASU also accepts IJMB minimum of 7 points with passes in relevant subjects, with O Level requirements. RSUST in addition to O’Level requirements accept HND (Lower Credit) relevant to the programme. WELSPRING accepts IJMB, NABTEB A’Level, NCE, ND, HND, at merit/lower credit from recognised institutions, as well as foundation/intermediate passes at ICAN, ACCA and ICMA. UNILORIN accepts HND lower credit, ND lower credit with ICAN (ATS) or ICAN (ACA). CUAB accepts NCE credit, ND lower credit, and approved equivalent of may be admitted to the appropriate level. UNIJOS accepts lower credit in any of the following programmes of studies: Business Administration, Accounting, Accounting/Auditing, banking, Finance, Marketing, Purchasing and Supply, Actuarial Science/Insurance, Secretarial Administration, Office Management, Psychology, Public Business Studies, Administration, Catering and Hotel Management and Statistics, Financial Studies. UNN accepts HND lower credit of recognised institutions plus the UTME requirements. UNIOSUN accepts ND lower credit and approved equivalent in relevant programmes may be considered. ICAN ATS Final level and Foundation pass of recognised professional bodies i.e. ICAN, ACCA (London), CIMA (UK), CIBN, CITN and other members of IFAC may be considered. UNIBEN accepts HND lower credit in Accounting, Financial Studies or Business Management; First Degree Second Class Lower in any relevant programme; NCE credit in Accounting; ICAN foundation or its equivalent or Chartered Institute of Secretaries and Administration Final, HND upper credit in Accounting is accepted into 300 level. CRAWFORD accepts ND/HND lower credit in relevant subjects. WESTERN-DEL accepts ND lower credit in Accounting, Banking and Finance, Business Administration. Intermediate passes in ICAN, ACCA, ICMA and CIBN examinations. UMYUK requires minimum of nine (9) points in IJMB/HSC/GCE A Level/NCE in Economics, Mathematics and any of Social and Management Science subjects. Candidates with ND lower credit in relevant programmes from recognised institutions may also be admitted. SOUTHWESTERN accepts NCE merit in relevant subjects. And ND/HND lower credit in programmes. UMUDIKE requires two (2) A Level passes in Accounting and any other subject from Economics, Mathematics, Government and accepts NCE, ND, HND lower credit. MOUNTAIN TOP accepts Possess OND Lower Credit in relevant courses including Accounting, Finance, Insurance, Banking and other Financial Studies courses. ND lower credit in relevant programmes. NCE lower credit in relevant programmes. HND lower credit in relevant programmes. Most schools decide the fates of lower grades applicants based on the demand for spaces in the current admission year. Hence, the higher the demand for this course, the lower the chances of the lower grades applicants. HND graduates with lower credit and Bsc holders can be more favoured in this regard. And more so, some schools have policy which can give HND/Bsc applicants 300 level admission instead of 200 level. Applicants may approach the school admission office for such chances.